I was in Montreal last week-end, and a friend of mine (Rick is a faithful reader of my blog) asked me why I have been so quiet recently. I want to apologize to you all for being a bit cagey about what was going on… and to the myriad friends on Facebook who expressed concern when I mentioned that I was leaving Yakidoo. When my contract with Rakuten ended at the end of 2013, the plan was always for me to spend a couple of months back in Canada, and then to return for a longer term contract. It took longer than expected, but my conversations with the team and leaders at Rakuten never stopped. When I announced that I would be leaving Yakidoo I wanted to announce why, but I really needed to wait until all of the contracts were signed and in place. And even though I started the new gig several weeks ago, delays in paperwork prevented me from making an official announcement. So Monday morning, February 2nd… three weeks after my actual starting date, I will walk into my new office at Kobo Books, a Rakuten company. I will be on a long term contract as an IT Infrastructure Architect and Consultant, working with several of their teams, but primarily the End User Technology group. 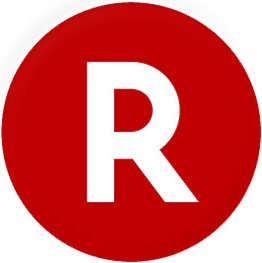 While the parent company is lesser known in North America, Rakuten is a multinational conglomerate with over a hundred companies in fields such as digital content, finance, and travel. It is a truly exciting company to be working for. However the fact that I will be working for their Canadian company, meaning I do not have to live in a hotel for the year, makes it even more exciting for me. While I love traveling, and G-d knows I love Japan, I also love my children. Not being able to see them, hug them, be there for them for months on end was very difficult, and not a prospect that I was looking forward to repeating; as difficult as it was before, I cannot imagine how much worse it would be now that I am separated from their mother. Now that I am no longer living with them, I have to put in a lot more effort to make sure that I remain an important part of their lives, and that is hard enough to do from Burlington… from Tokyo it would be so much worse. As for what I will be doing for Kobo and Rakuten, well let’s just say that it is going to be an exciting year, and I don’t want to give away the plot. However I promise you that my blog will, as always, have plenty of articles about the technologies I will be working on (without any of the specifics), which will be a nice combination of the familiar and the new to many of you. I want to thank all of you who have expressed your concern and interest, and want to assure you that I am extremely happy and excited with the challenges I will be facing over the next year.